David is as a person in long-term addiction recovery. This means it has been more than 30 years since he last used any illicit drugs or alcohol and more than 28 years since he used nicotine. He attributes his personal recovery to his faith in God, his involvement in his 12-step recovery program, and his involvement in his church. He is the founder and former Executive Director of Recovery Consultants of Atlanta, Inc., a preeminent faith-based, peer-led Recovery Community Organization and HIV prevention program. During his tenure with RCA, Inc., he raised more than 10 million dollars in federal funding. David has an earned PhD in social work from the University of Georgia and a master’s degree in social work from the University of Michigan. He is certified as an addiction professional and has been involved in the addiction recovery advocacy movement since the initial meeting of recovery advocates held in St. Paul, MN, in October, 2001. He is an experienced trainer on Recovery-Oriented Systems of Care (ROSC) and Peer-based Addiction Recovery Support Services; both nationally and internationally. His international training experience includes a 12 day visit to Ghana in February, 2014. During his Ghana visit he resided at the House of St. Francis; living among a group of approximately 25 young men pursuing recovery from addiction. 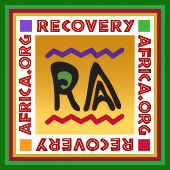 While in Ghana, David provided several training sessions on ROSC and on the value of including peer-led recovery support services within Ghana’s existing treatment centers. One of his long-term goals is to secure funding so that he can spend several months living and providing recovery support services to substance users living in Ghana.